Ann Hood, our keynoter at last year’s conference, will be reading and signing her new novel The Obituary Writer at 7pm on Monday, March 18. There will also be an open book group discussion of Ann’s book The Red Thread led by Elli Meeropol at 6pm. Read More. Book summary: On the day John F. Kennedy is inaugurated, Claire, an uncompromising young wife and mother obsessed with the glamour of Jackie O, struggles over the decision of whether to stay in a loveless marriage or follow the man she loves and whose baby she may be carrying. Decades earlier, in 1919, Vivien Lowe, an obituary writer, is searching for her lover who disappeared in the Great San Francisco Earthquake of 1906. By telling the stories of the dead, Vivien not only helps others cope with their grief but also begins to understand the devastation of her own terrible loss. The surprising connection between Claire and Vivien will change the life of one of them in unexpected and extraordinary ways. 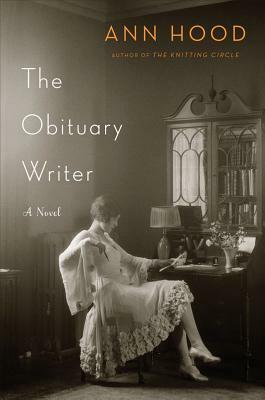 Part literary mystery and part love story, The Obituary Writer examines expectations of marriage and love, the roles of wives and mothers, and the emotions of grief, regret, and hope. The 7 pm reading and signing requires the purchase of the book or a $5 event ticket.